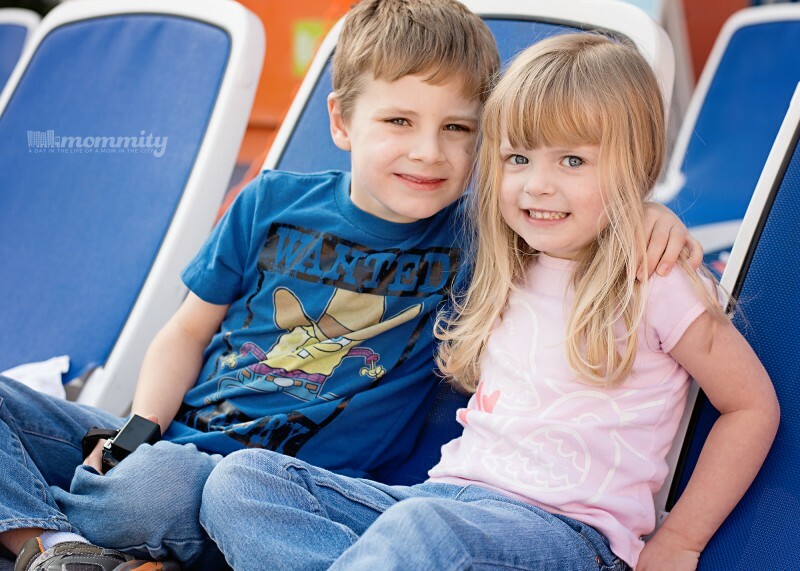 Last month I had the opportunity to take the kids on an all expense paid trip to Florida. My husband had to work, and was therefore unavailable to travel with me. Since I was determined not to let my kids miss out on this opportunity, I strapped on my super mommy cape, grabbed a kid with each arm, and there the journey began. This is a sponsored post written by me on behalf of Microsoft. All thoughts are my own. While it was admittedly fairly smooth traveling, my main concern was the absence of my husband’s big manly arms that so easily tote all of our belongings from one place to the next when we travel. Since it was just I, having to tackle luggage and keep both kids from getting lost at random locations in the airport… I focused on packing as light and compact as possible. The two things I worried about most when packing were car seats, and whether or not to drag along my laptop. Luckily, the car seat issue was easily resolved, so I was left to only worry about the laptop. This issue too, was easily resolved. Rather than drag along my whole laptop, I opted to bring along my Surface Pro 3 instead! This device is like the best of both worlds! It has the entire heavy hitting power of my laptop like Windows, Office, and desktop browsers… while being in the compact size of a tablet. We used the Surface Pro 3 at the airport as a tablet, the kids watched Netflix and it kept their little minds occupied while waiting for the plane. Then we used it again, on the plane, with the use of Wi-Fi. The battery life is around 9 hours and gave us plenty of time to do what we needed before getting to the hotel. At the hotel, I was able to blog, Facebook, edit photos with Photoshop, Skype with daddy and everything that we would have done with a full size computer. At less than 2 lbs, we weren’t inconvenienced with the weight and size. 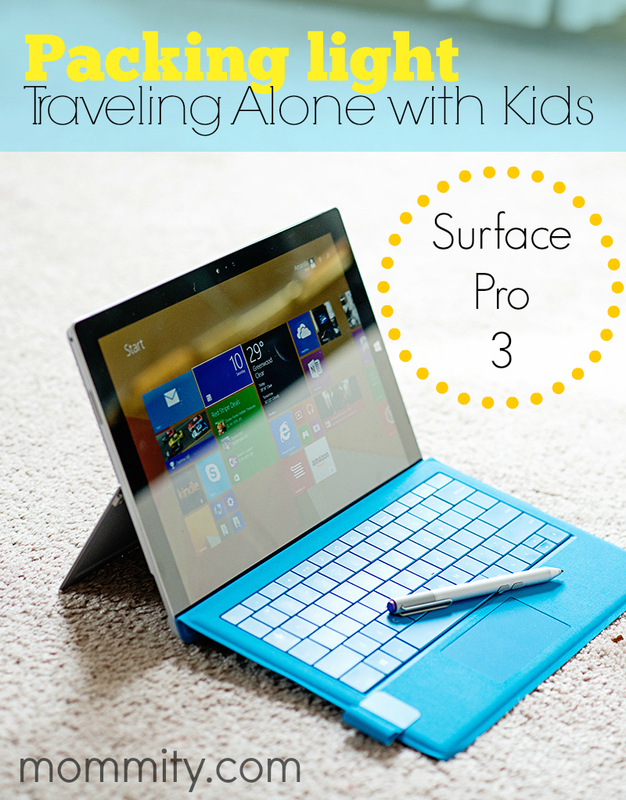 Instead we found the Surface Pro 3 to be a “must have” addition to our packing list. I cannot even begin to tell you how handy this device came in! From the down time in the airport where the children were entertained with apps, to the late night work I did in the hotel once they were fast asleep. Then there was the incident with Andrew becoming sick while we were there, and I had rapidly search the web browser for urgent care and taxi cabs that could safely transport us! 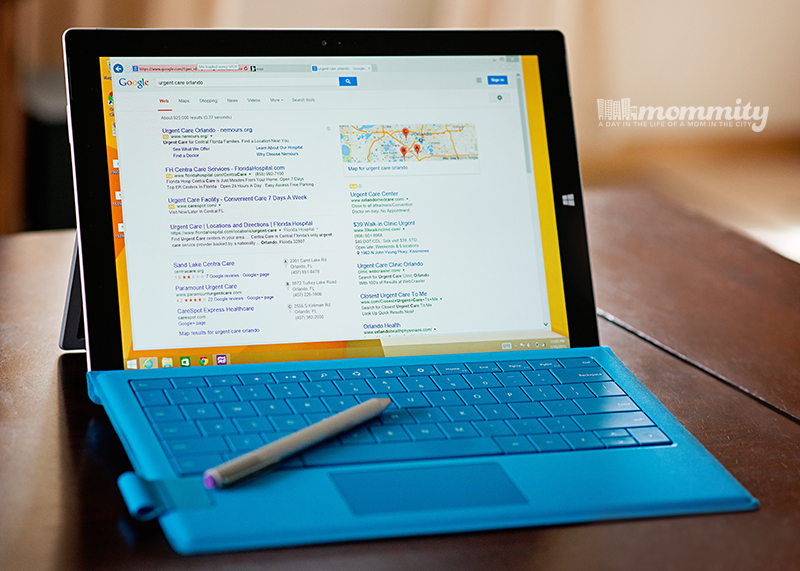 Overall, the Surface Pro 3 worked wonders in helping us travel as smoothly as possible! If you are looking for a compact and easily transportable device that can replace your laptop, I suggest you check it out! 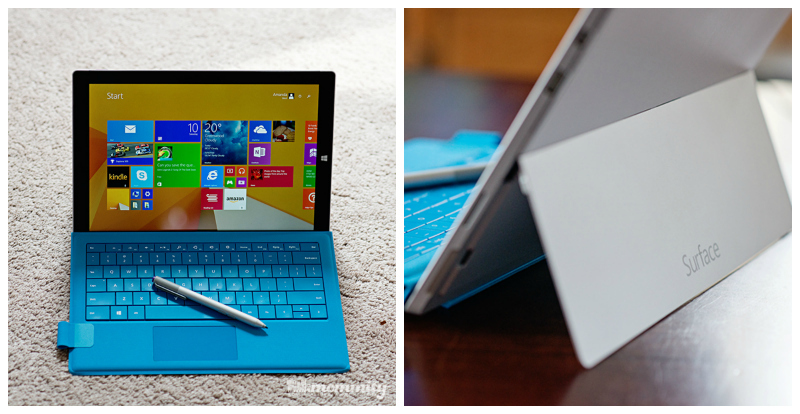 Where would you use your Surface Pro?